How to convert PSD to PDF with FoxPDF PDF Converter? | FoxPDF PDF Converter | PSD to PDF |, Convert Docx to PDF, Convert Doc to PDF, Convert XLS to PDF, Word to PDF, Excel to PDF, Image to PDF, AutoCAD to PDF, etc. How to convert PSD to PDF with FoxPDF PDF Converter? 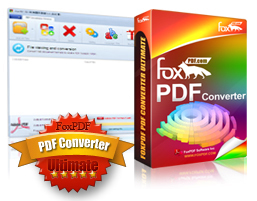 Now let's focus on how to step by step convert PSD to PDF with the FoxPDF PDF Converter. The PSD to PDF conversion is so simple! Now, don't hesitate! Come and buy this powerful FoxPDF PDF converter to convert any file to PDF format.